TATLISU – 1 bedroom penthouse with title deeds and panoramic roof terrace, sold fully furnished and ready to move in! This spacious 60m2 one bedroom penthouse represents excellent value for money. 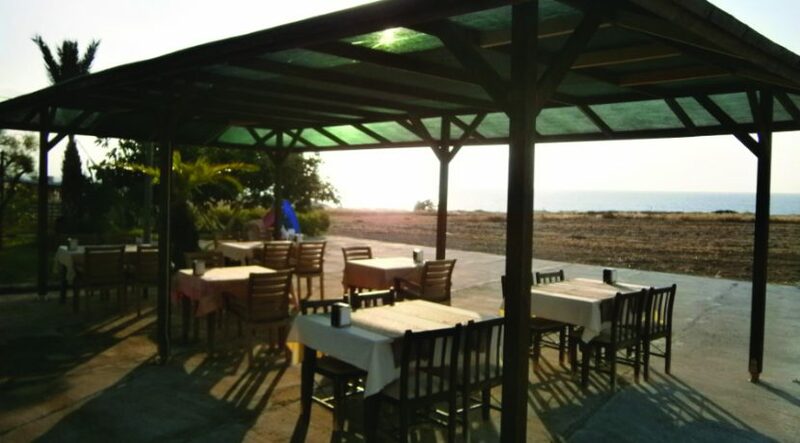 Set on the edge of this popular and very secure beachfront complex in Tatlisu, a new owner can move in immediately as all furnishings, white goods and AC units are included in the price. The complex was established in 2007 and has lovely mature gardens, as well as 3 communal pools, children’s play park, gym and sauna. 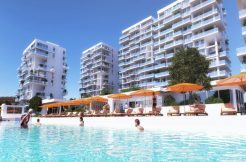 Particularly unique is the lovely, peaceful and sandy private bay where residents can enjoy beautiful sunsets. The property is located on the 1st floor of the property and accessed via external staircase. The front door opens into the open-plan kitchen/living room area with access to an impressive and large sea view terrace. 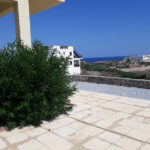 The double bedroom has fitted wardrobes, air conditioning, ceiling fan and also has access to the sea view terrace. The bathroom has full bath as well as shower. Another set of external stairs leads to the panoramic roof terrace with 360 degree sea and mountain views which will quite literally take your breath away! The property has been looked after by current owners and is sold fully furnished. The local supermarkets and Tatlisu village are both just a few minutes’ drive from the site and there you can find all amenities. 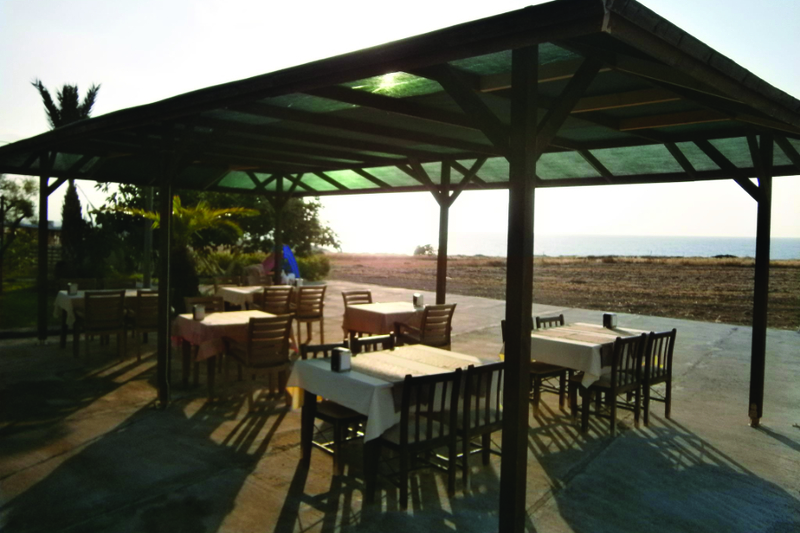 The Korineum golf course is approximately 15 minutes’ drive and Kyrenia centre is approximately 30 minutes’ drive. 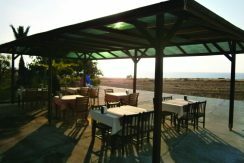 Tatisu itself is beautifully positioned at the gateway to the unspoilt Karpaz peninsula with its miles of unspoilt sandy beaches. To arrange a viewing please call NCI (North Cyprus International) on +44 207 112 8086 or in Cyprus on +90 548 861 0600.